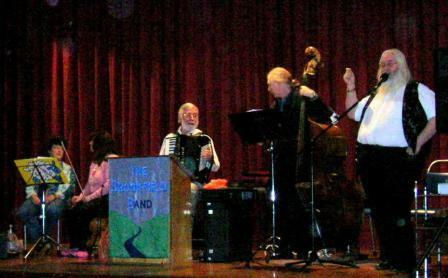 The band normally go out as a 4-piece band, comprising fiddle, recorder (or flute), double bass (or bass guitar) and piano-accordion producing plenty of bounce, thanks to the skill of the musicians and their choice of great,energetic tunes that they play. Of course, there will also be a caller with the band,making a total of 5 performers. Most of the band members live in central and eastern Hertfordshire, so bookings within an hour's travel of there should be fine. "I would just like to thank you again for playing for us last Saturday. I felt the evening went really well and I have had lots of enthusiatic comments since including "brilliant" and "excellent"